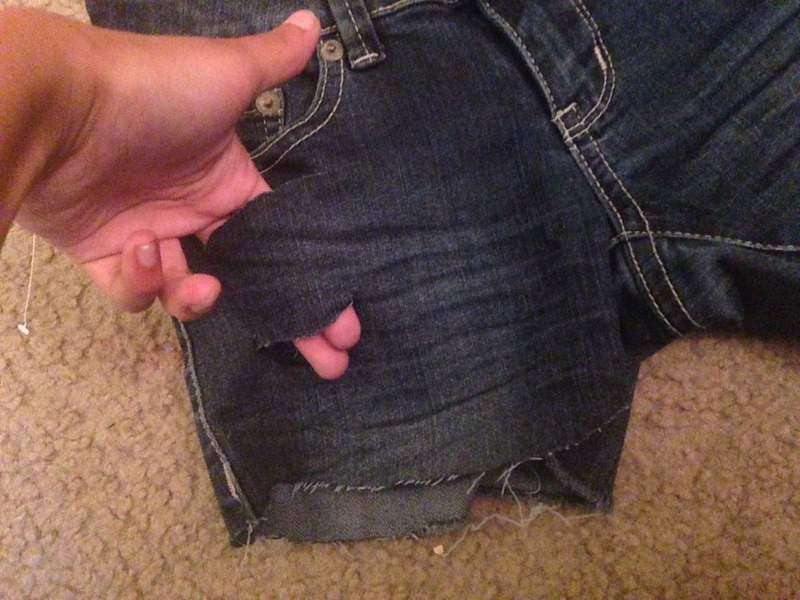 Easy How To Make Ripped Shorts! 1. 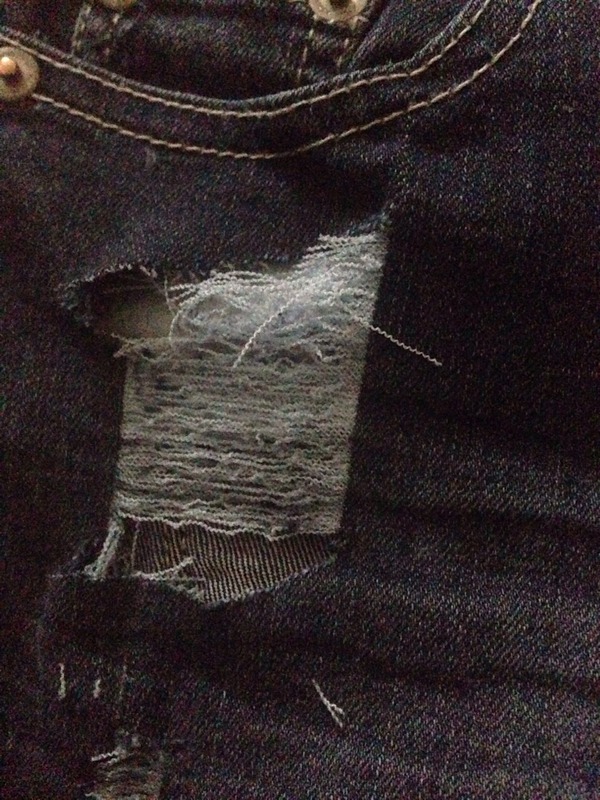 Cut two parallel lines into the jeans. 2. 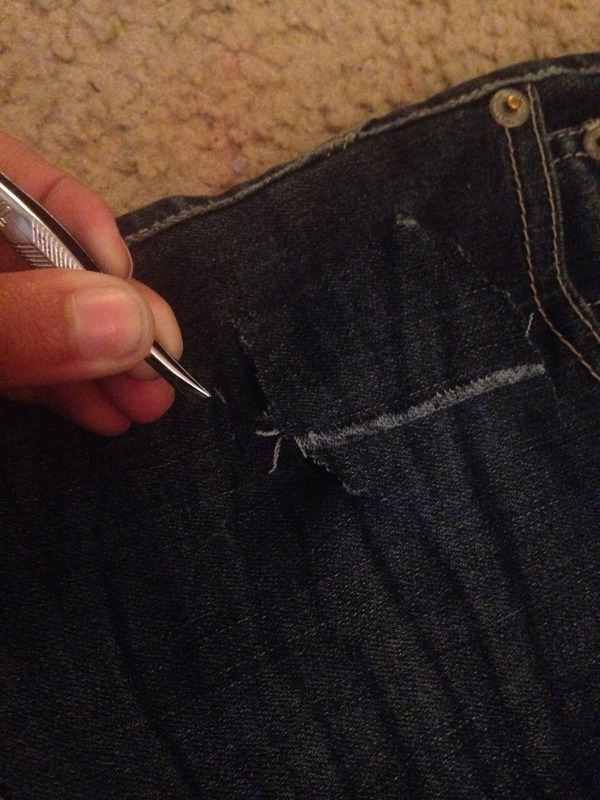 After you cut the parallel lines take some tweezers and start pulling the vertical blue strings out. (Be careful not to break the white string.) 3. 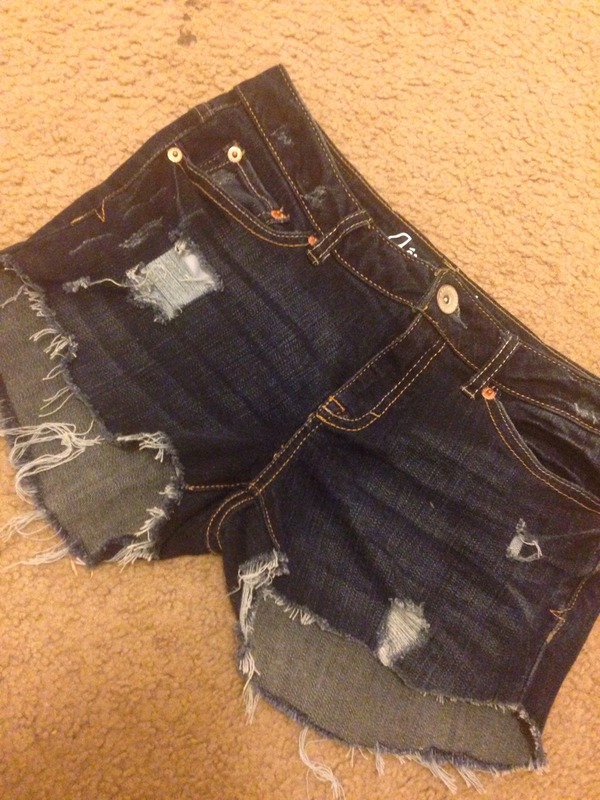 Then you throw the jeans or shorts in the washing machine to make them look store bought.